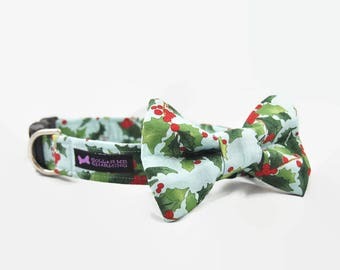 Collar Me Charming specializes in custom handmade pet accessories that will keep your pup looking fashionable all year round! All items are custom made by me using quality hardware and durable nylon covered in designer fabrics. I make all of my collars and leashes CUSTOM for you so you get to choose the size and matching fabric options to your liking. Being a dog owner myself, animal welfare is very important! We choose to donate part of our proceeds to humane societies and participate in local animal charity functions. Thank you so much for taking the time to visit Collar Me Charming Etsy shop! If you would like to contact me I can be reached by Etsy convo or e-mail katie [!at] collarmecharming.com. I would love to hear from you! 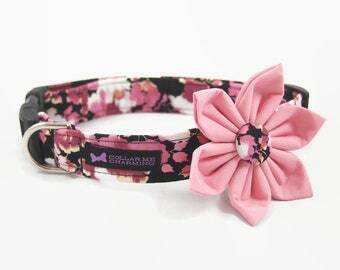 Collar Me Charming started in May 2013, with a Golden Retriever Cassy. Katie had always dreamed of starting her own business and decided to combine the two things she loves: animals and creativity. Katie, never being a fan of "dressing up" your dog in uncomfortable clothes, thought it would be fun to be creative with the one thing dogs need to wear, Collars! Katie taught herself how to sew and before long people were requesting her collars for their dogs. Knowing that she wanted to give back to the community, Collar Me Charming donates a portion of the proceeds to local and national pet related charities. Since opening her shop, Collar Me Charming has grown exponentially, delivering happiness to Charming Pups all around the world. Dogs and animals have always been a passion of mine so I decided to create Collar Me Charming! I love colorful fabrics and bold classic designs that bring out the best in our pups and I currently make all my products by hand. Thank you for visiting Collar Me Charming’s Etsy shop! If you have any questions don't hesitate to contact me. I can be reached by Etsy convo or e-mail katie [!at] collarmecharming.com! I look forward to hearing from you!!! ***Most of the items in my shop are made to order so please allow 1-2 weeks for your order to be created and shipped out. If your purchase is needed by a specific date, please convo me and we will try our best!